Customised photo booth hire couldn’t be simpler.. Looking for a little added luxury and professional edge at your next event? Want an innovative and subtle method to clearly advertise and show off your brand? Then call off the dogs and halt the search because customised photo booth hire couldn’t be simpler with Photoboothy! 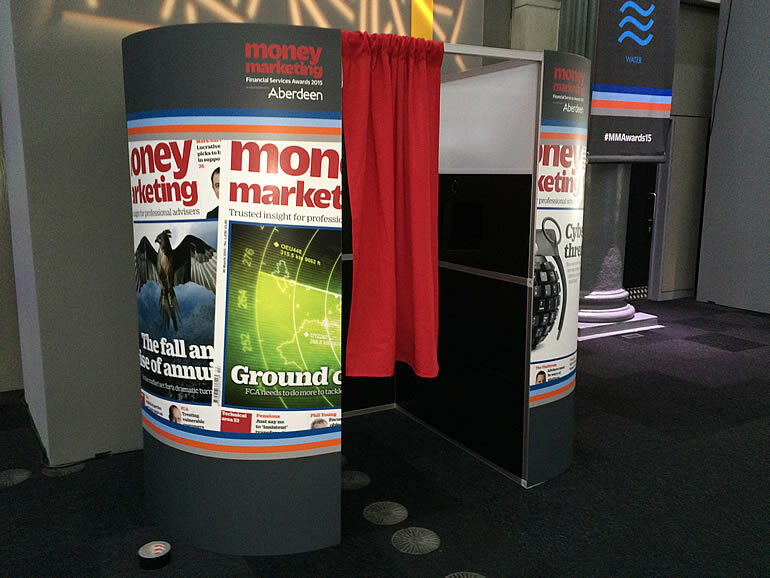 Our shiny new booths are equipped with entirely customisable panels, so your business gets extensive brand exposure whilst delighting your partygoers at the same time! 2 birds, one booth! Photoboothy specialise in exemplary, cutting edge and easy to use photo booth hire in London, Essex and Kent, we provide a fully trained, charming member of staff to set up all of the equipment and smoothly run everything for you – making your photo booth hire a completely business-effective and stress-free experience! 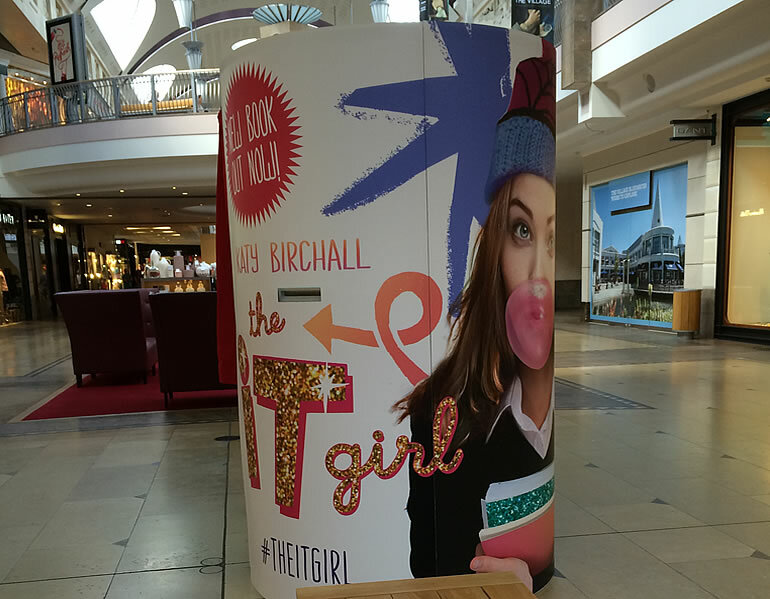 Having a customised photo booth rental at your event will also ensure widespread publicity on all social media platforms including Facebook, Instagram and Twitter, as all of our booths are designed with in-built software to post, email and print snaps immediately! 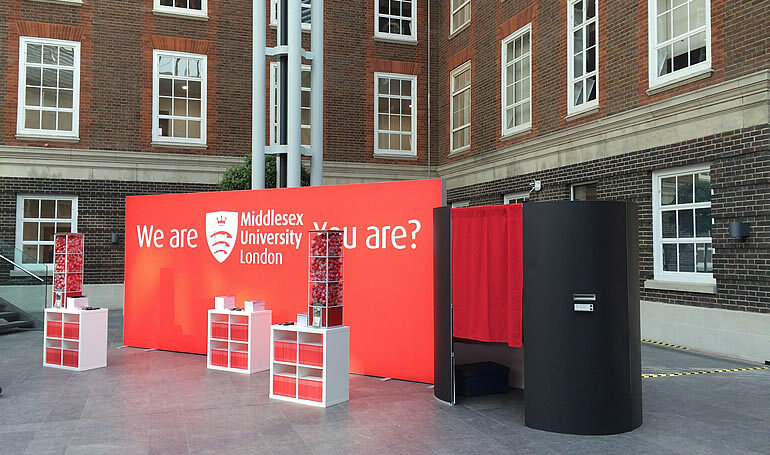 If you have any questions or queries surrounding specific customisation, photo booth hire London, surrounding areas or want to know if you’re within our catchment zone – just give us a call and one of our friendly team will be happy to assist! It’s getting darker everyday, the weather’s taken a turn and you’re looking paler than your dreams of a white Christmas, but you’d better not shout and you’d better not cry – I’m telling you why – because all of this can only mean one thing…iiiiit’s Christmas! Yes, the festive season is upon us! The John Lewis ad is out and those Christmas Parties are a HO-HO-HO away from avalanching in! 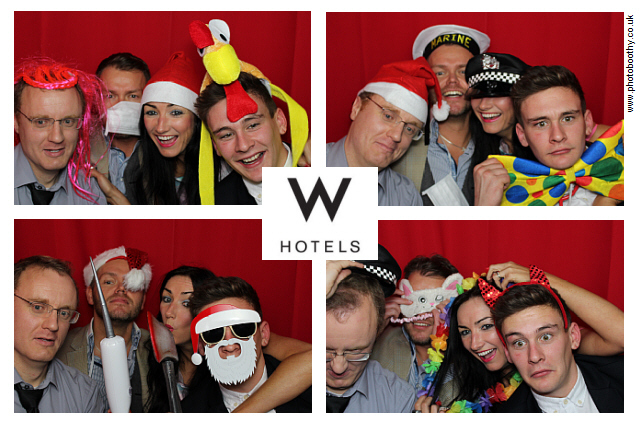 So, grab your mistletoe, down a mince pie and look no further for your party’s photo booth hire this year! At Photoboothy we have everything you need to make your Christmas Party really stand out from the crowd! With state of the art technology and a wealth of experience in photo booth hire in London, Essex and Kent, we cater to all your festive photo booth needs! From smaller office parties, to grander scale corporate rentals – PhotoBoothy has got you covered! 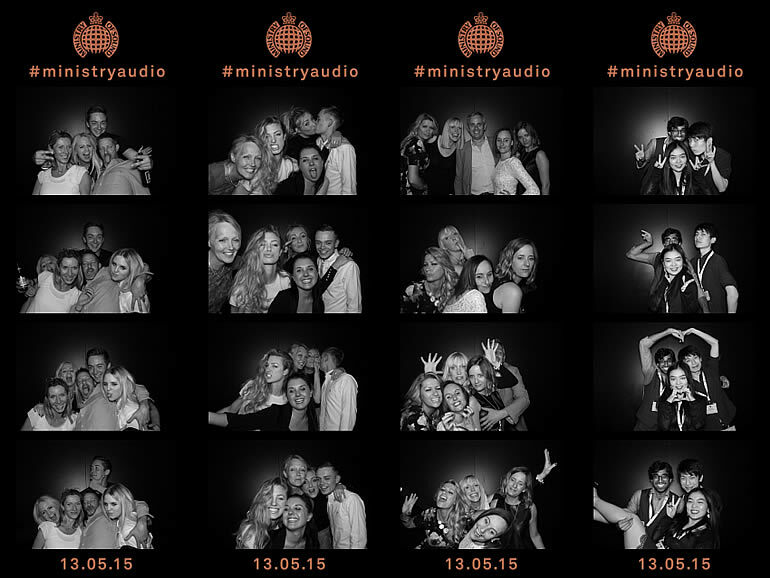 We have a whole array of incredible photo booths at your disposal! Perhaps our classic enclosed photo booth takes your fancy? 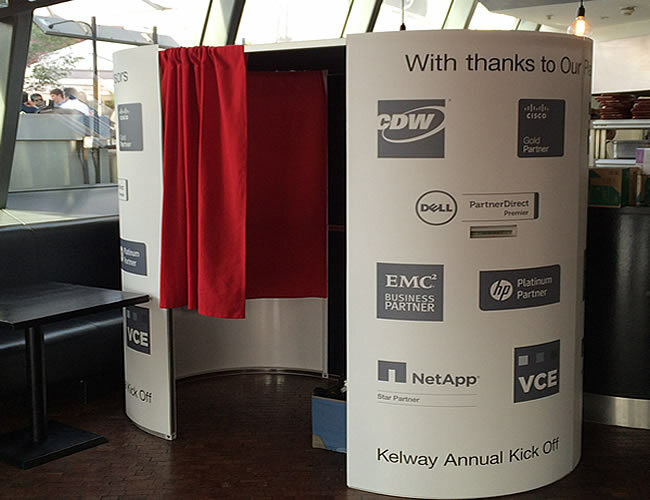 What about a customised photo booth tailored specifically to you? Or even our amazing open air photo booth? A freestanding single paned booth for tiny spaces and larger groups! Photo booth hire couldn’t be easier, all you have to do is tell us what you want, where and when, and we’ll do the rest! So you and Mariah can let loose on the dancefloor without a single worry! Christmas Parties are our forte here at PhotoBoothy – so we are often in high demand! We’ve worked with some of the most reputable brands around including The X Factor, Facebook, British Airways, Diesel, The AM City Awards in Central London, The Hilton and Vogue to name a few. 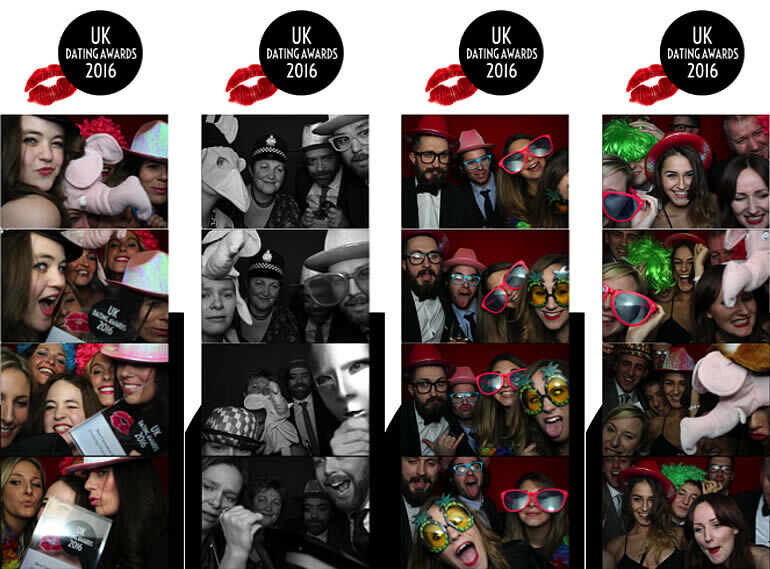 London Photo booth rental can therefore book up pretty quickly! So give us a call to avoid disappointment! It’s not long until Halloween, when ghouls and boys come out to play, go trick or treating in their favourite haunts and star in their very own spooky costume drama! Halloween, like prom celebrations, has been growing rapidly as a fun event in the UK for some years now, following the way it’s developed in the USA and Photoboothy is receiving a lot of enquiries. Our Halloween photo booths are ideal for capturing witches, wizards and zombies at play, sporting gory costumes and makeup, but please make sure you book your photo booth hire in central London in good time. 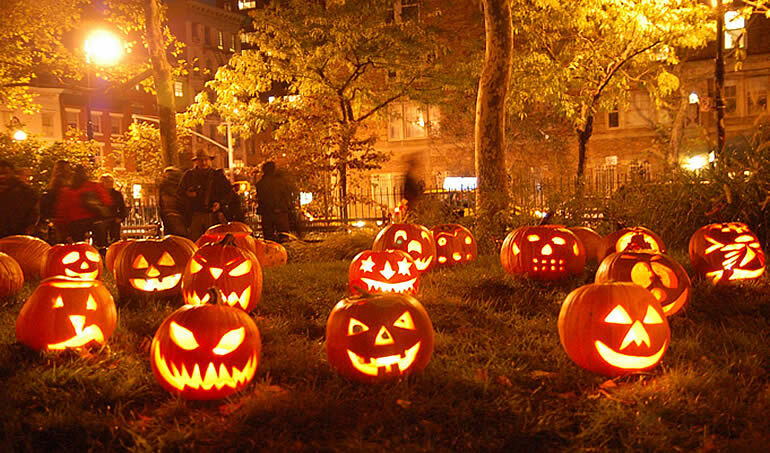 We don’t sell out like pumpkins but we may be very busy – especially as Halloween is on a Saturday night this year – so you do need to ensure that you secure the chosen party date. 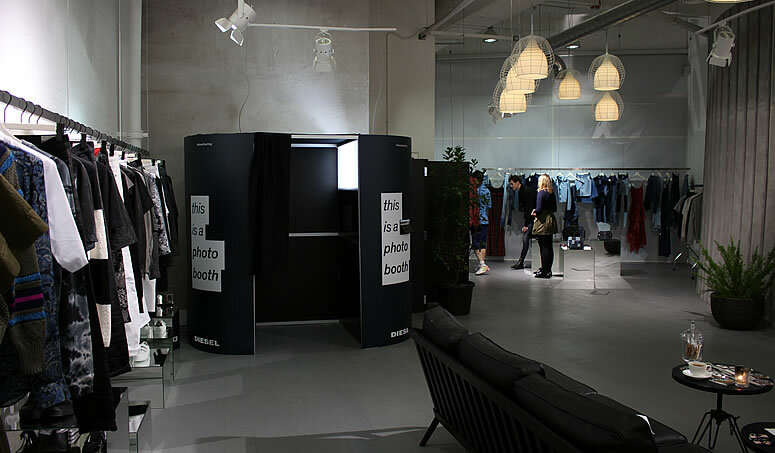 You can select enclosed photo booths or the stand alone contemporary type. It’s simple to customise the former for a party featuring spooky messaging or Halloween themed motifs and we offer personalised strips – featuring logos, the date, a #halloweenparty hashtag – at no extra cost. If you want to record your scary goings on, screams and cackles, think about booking our free-standing contemporary photo booth. This is extremely popular because it was designed to record slo-mo videos (all our rental booths come with social media sharing options). We’re not scary even if your costume is! We’re helpful, innovative and an experienced supplier of photo booth hires throughout haunts in central London. If you’d like to find out more about which rental booth would best suit your Halloween party – corporate, in a nightclub or if you’re planning a private event – please get in touch today.